Because the basic Hummel could only carry a limited amount of ammunition, the Munitionsträger Hummel ("ammunition carrier Hummel") was developed. 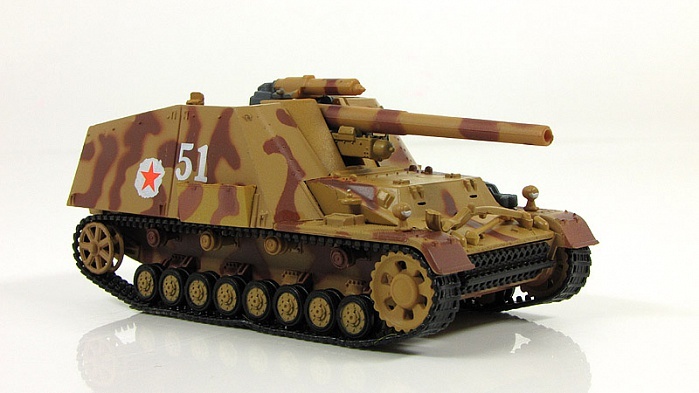 This was basically a standard production Hummel without the howitzer (a 10 mm armour plate covering the gun mount) and with racks fitted to hold the ammunition. When necessary, these could still be fitted with the 15 cm howitzer of the normal Hummel; this could even be done as a field conversion. By the end of the war 714 Hummel had been built with another 150 ammunition carriers using the same design. 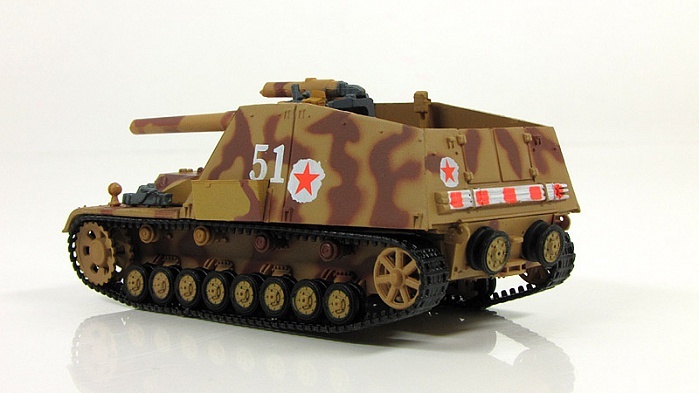 The Hummel first participated in large scale combat at the Battle of Kursk, when some 100 Hummel were in service. 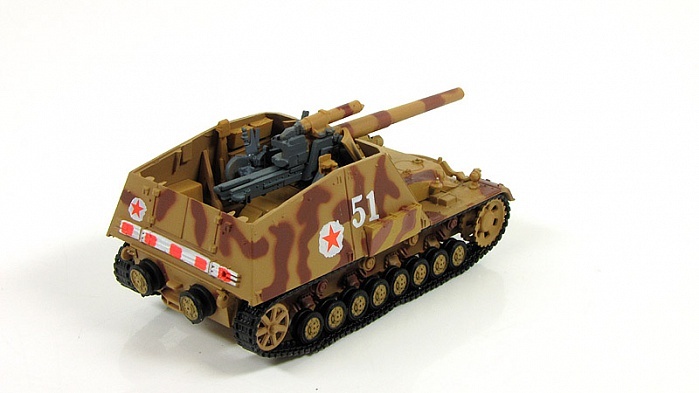 They served in armored artillery battalions (Panzerartillerie Abteilungen) of the Panzer divisions, forming separate heavy self-propelled artillery batteries, each with 6 Hummel and one ammunition carrier. Were built 666 these self-propelled guns. 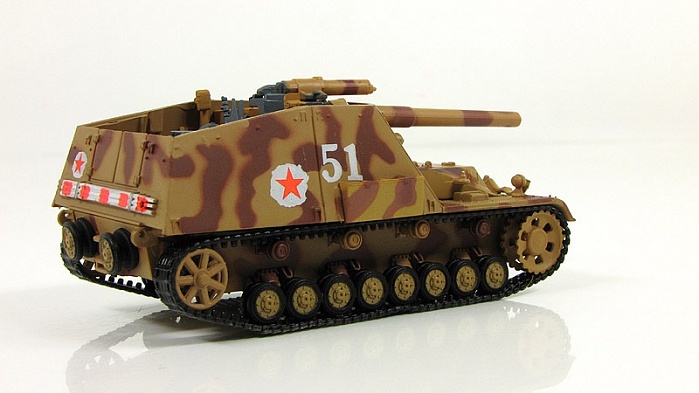 Captured by the Red Army, "Hummel" was obtained Soviet documents index SU-150. The most significant episode in their combat career in the Red Army became involved in the fighting near Lake Balaton. After battles accompanied by heavy losses in January and February 1945 in units the 3rd Ukrainian Front had only a small number of combat-ready fighting vehicles, while counter-attacking 6th SS Panzer Army had more than a thousand tanks and self-propelled guns. March 7 for reflecting the German offensive in the district Sárszentágota, the command of the 27th Army were used two not have rooms self-propelled artillery battalion, which included a 8 SU-150. Units were fighting until 9 March, losing all his self-propelled guns. About the same time, the 3rd mobile tank repair factory to March 2, 1945 regained 20 German tanks and self-propelled guns. Of this number, 5 SU-150 received on March 7 in the 366th Guards heavy self-propelled artillery regiment of the 4th Guards Army. The next day, their number has already increased to seven. 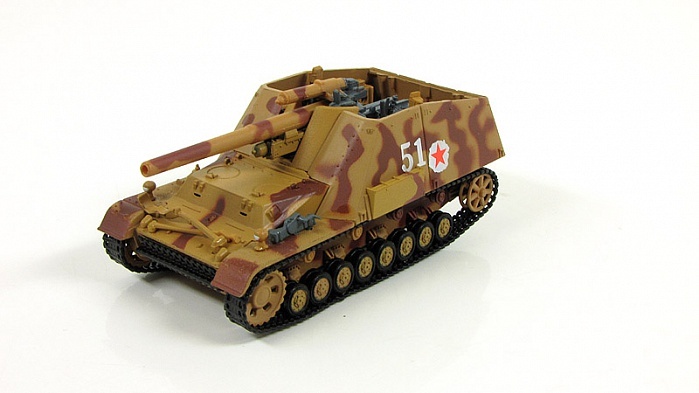 As at 16 June 1945 in the Red Army there were 54 self-propelled guns of this type. Of these, 12 were considered as serviceable, 29 required repairs and 13 were considered as not to be restored. Some amount of SU-150 officially consisted in service until the 1946. 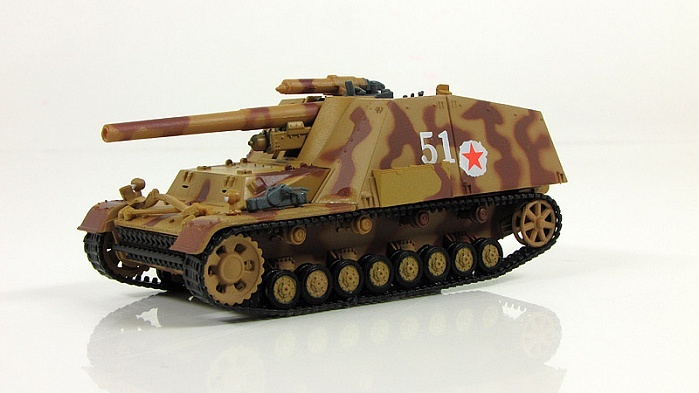 Unfortunately, it was not possible to establish the facts of the use of the captured "Hummel" in the Red Army "on a specialty", ie for firing from concealed positions, the more that analogues vehicles of this type (field self-propelled howitzer) in the Red Army were absent.